Early tomorrow morning children will be beavering away in kitchens preparing breakfast-in-bed for their beloved Mamas. Culinary concoctions made with love and care will be placed on trays along with steaming pots of tea or cups of coffee. Perhaps a home-made card showing off nascent artistic talents will be presented with the breakfast tray. I was curious about Mother’s Day, so I took a look at the BBC website and gleaned the following about the day’s origins. Usually churchgoers worship at their nearest parish (daughter church). However centuries ago it was customary to visit the home church (mother church) once a year, usually in the middle of Lent. Children, who were often sent away at a young age to work as domestic servants, were given a day off to return home. It morphed into a day of family celebration and the returning children sometimes picked wild flowers, as they walked home, to give as presents to their mothers. Today is my mother’s birthday so in a joint celebration of that and Mother’s Day I took her out to lunch. We went to Dalis In Blackrock. 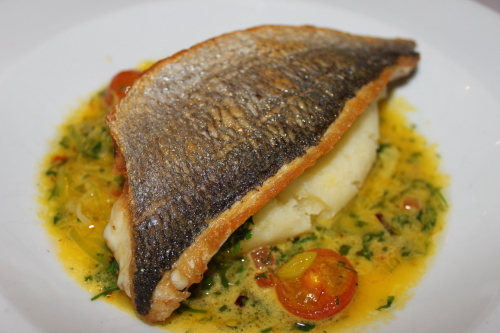 I had the sea bream with olive oil mash and saffron and tomato butter, it was good. 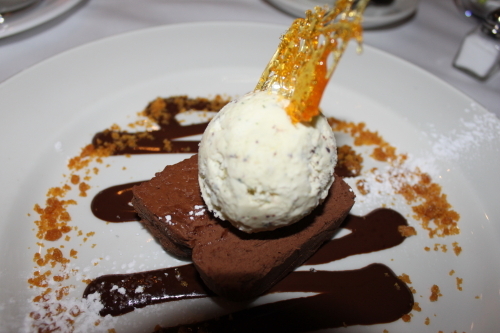 As was the chocolate marquise which I had after the fish. My Mum had cod followed by crème brûlée and she said they were good too. 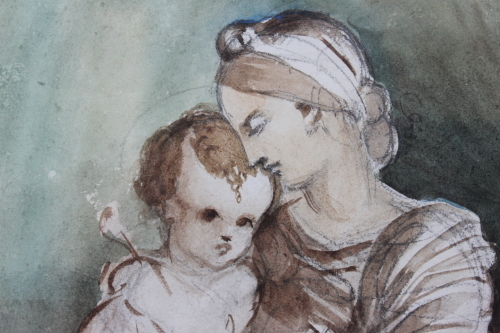 To mothers everywhere, Happy Mother’s Day.